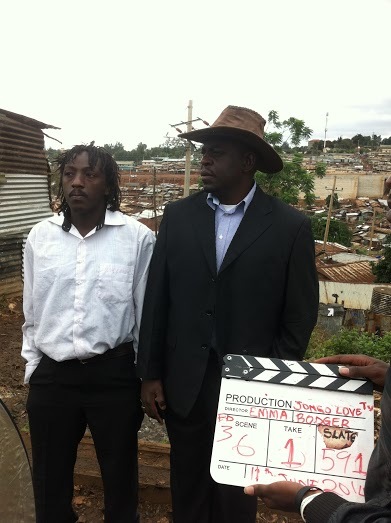 Jongo Love is a 13-part drama holding the airwaves on NTV under Shujaaz TV. Get this, the episodes are filmed using Nokia Lumia 1020, all in the Sheng street dialect and directed by renown Emma Bodger, who by the way, debuted into the film industry by self-financing her first short-film, Joint Venture. Yeah, I have watched it, and I watch it (you can tune in on Thursday), but the last thing on my mind would have been that they made it with a phone with not inconsiderable quality, but that’s just the beauty of technology, isn’t it, especially with high-end Smart-phones. Well, we are living in an age where multi-million dollar films are just the norm and all aspiring movie-makers like me are thrown to the backburner in wait of our financial savior. True, but technology and the internet has and is continuing to level the playing field. If you hop on the internet band-wagon and search for short-films, you’ll find several screen-plays made using cell-phones, not to mention Olive , the first feature-length film to be filmed using a mobile-phone where a 35mm lens adapter was fabricated to custom-fit the Smartphone to give a shallow-depth of field. The depth of field is what makes or breaks your film, the tool with which you sculpt all your shots and is meant to add ‘depth’ and aesthetic functionality to your production, perhaps a tool Jongo Love would consider, but I am sure Dame Emma Bodger has considered it! Well, you would love to know how the film is doing, tune in this Christmas-I have seen the trailer, it is brilliant, starring Ruby Alexander and the award-winning Gena Rowlands, I have grown up watching her giving exquisite performances, I promise you a tear or two! Such films like Olive and dramas like Jongo Love fill me with such hope as would awaken the drowsiest of men. Perhaps my dream and a bunch of other folk lie squarely in the realm of possibility. I think that’s one of the fundamental things that Kenyan film producers think that quality is found in their bulky instruments, which by the way, are more often than not atrociously used. I am not saying that phones are here to replace cameras, no sir; all I am saying is that they are enhancing the creative pool and possibilities! Jongo Love with the Lumia 1020 in league with a Gorilla pod, Fig Rig (wheel), and a very cheap steady-shot, and woila! The first fundamental thing that any film-maker should know towards making great film at a reasonably manageable cost is that you need to learn your art. Because at the end of the day, you might have the most expensive equipment known to man, but end up making a rather distasteful production. So, principal thing towards reasonable cost production is know your trade. For a master, even a needle is a weapon! Another thing is to understand that cost breeds expertise and tends to elevate the quality of the project, how, well, look at it this way, if you spend $200 on a production and the said production goes on to tour twenty film festivals, doesn’t that investment pay off? If you put quality in, then you get quality out, it is the natural progression. If you respect your work enough to put in time and money, then it certainly shows on screen. Film can be really expensive or cost less when working with low cost digital cameras such as those on smartphones. In the end, it all depends on one’s creative practice. Here’s a fun fact for you and independent film-producers who tend to write off film as expensive. In the year 2012 at the Sundance Film Festival-there were 120 films in competition, 5% of which were shot with low cost cameras, and yet that small minority took over 100% of the coveted Jury and Grand Jury Prizes in the US and World Dramatic competitions, as well winning the Excellence in Cinematography in the US Dramatic category. Shooting film can actually be cheaper in varied situations. A shooting ratio of 5:1 create a situation where film will come in below the cost of purchasing or renting electronic equivalent cameras- Stephen Spielberg and his veteran crew are known for shooting quickly and efficiently with a low number of takes. The choice is up to the artist, not the camera companies. There are many ways to save on all film processes, whether in film or digital. Both methodologies have the potential to be inexpensive, but it all depends on one’s resourcefulness. 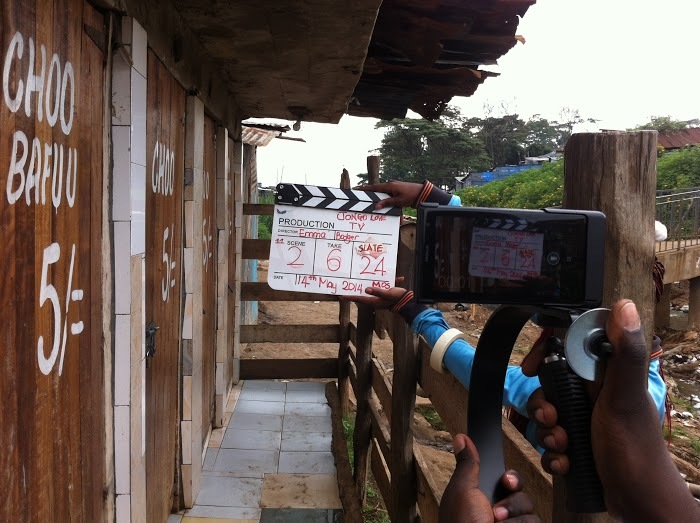 The longevity of filming, the low cost of filming and low shooting ratios are the most important ways film has prospective to be cost-effective over digital. All one needs to do is research and be selective in your creative process. Film is not just for the big budget projects of James Cameron, Spielberg, Scorsese, or even Wes Anderson; it is also for you, the hot-shoot future film-producer. When the sun has set, film places the responsibility of preparation and budget savings on the filmmaker! Remember, Lights, Camera, Action, and Take!